There are 227 inhabited Greek Islands. Visiting them all would take months, and how nice that would be? I’ve compiled a handy guide to decide the best isle for you – wether it’s for family time or else. That’s the trick – which qualities matter most to you? Corfu scores for beaches and hiking but it lacks in tranquility. Mykonos might boast wonderful restaurants, but where are the affordable hotels? Everything is so expensive. Making a shortlist is the way to go. 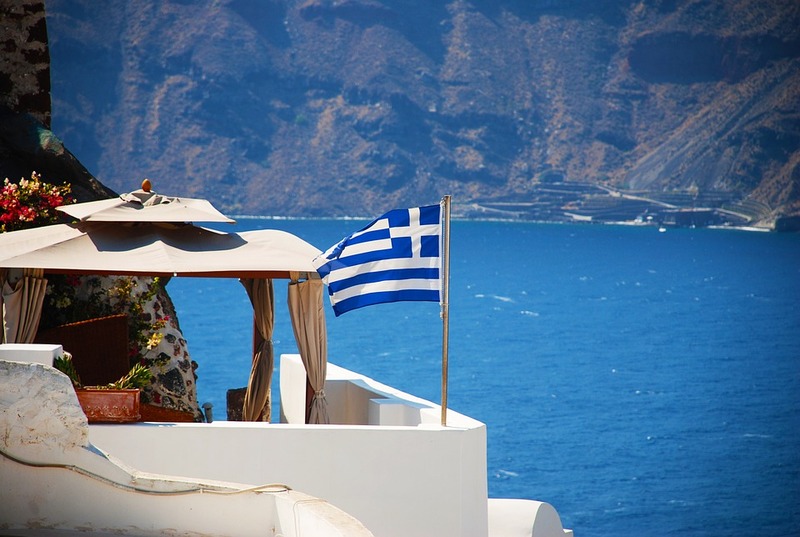 The Cyclades is a group of Greek islands, southeast of the mainland in the Aegean Sea. 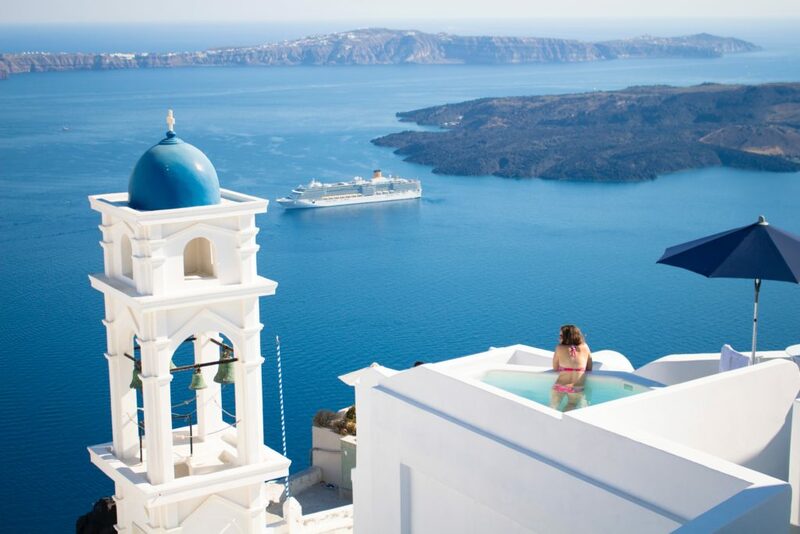 It contains two of its real A-listers – Santorini and Mykonos. If you’re into tavernas and beaches and whitewashed buildings, then it’s worth giving it a go. They are well connected to mainland Europe but unfortunately this also means that they are rarely empty, raising the prices up too. Crete (Greece’s biggest island), Rhodes, Corfu and Lesbos follow the same boat regarding on prices to a lesser extent. If you’re after bars and party nights, you have to try Ios or Kos. But bear in mind that they are full of people from everywhere in the world with their flashy bars and noise. You can have the same decadence with Mykonos and Santorini but a bit more elitism. Greek islands are all varied, and come for all the tastes. Whether you like sandy, shingle or pebble beaches, you can always choose which one you like. For powdery sandy beaches, you can go to Naxos, Milos, Lipsi or Lefkada. Forest-fringed Skiathos is very good for nudists, as it’s not full of people. 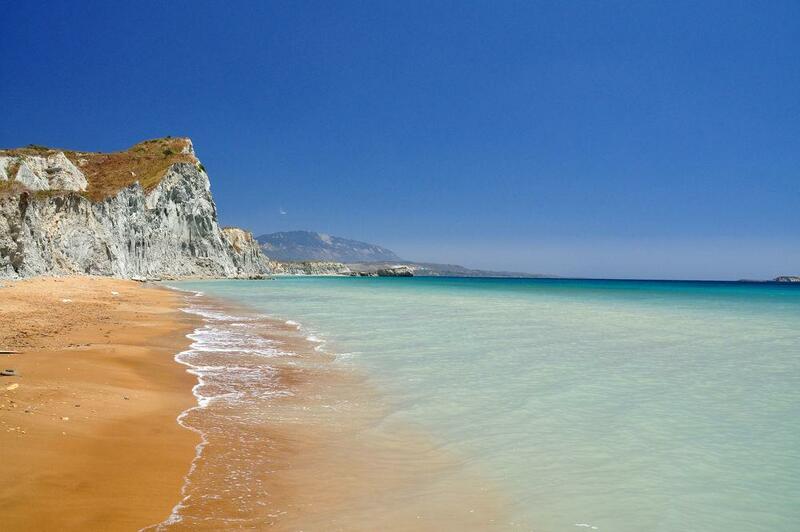 Also on the list of quieter beaches are Kefalonia and Zakynthos. Oh not forgetting Karpathos, which is very good for activity sports. Milos is very good for underwater pursuits. It’s got abundant dolphins and sea fishes. Also on the list for snorkelling you can include Paros and Kastellorizo. 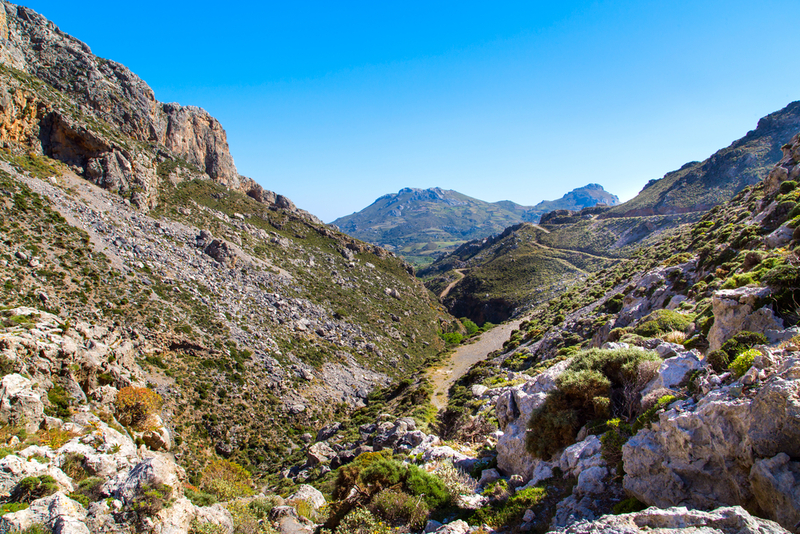 If you want to find old monasteries and wild canyons, head to Crete. It’s varied terrain makes it the best option. There you can find the famous Samaria Gorge, a national park that is a major tourist attraction of the island. If you want to see temples and orchards, head to Naxos, another great island. It’s got great inland paths that make it possible for you to explore them. Thasos offers steep forest tracks, ideal for advanced walkers. Fabulously wealthy in ancient times, thanks to large deposits of gold and marble, Thassos nowadays lies outside the top league of Greek holiday islands but it still has as much to offer the visitor. 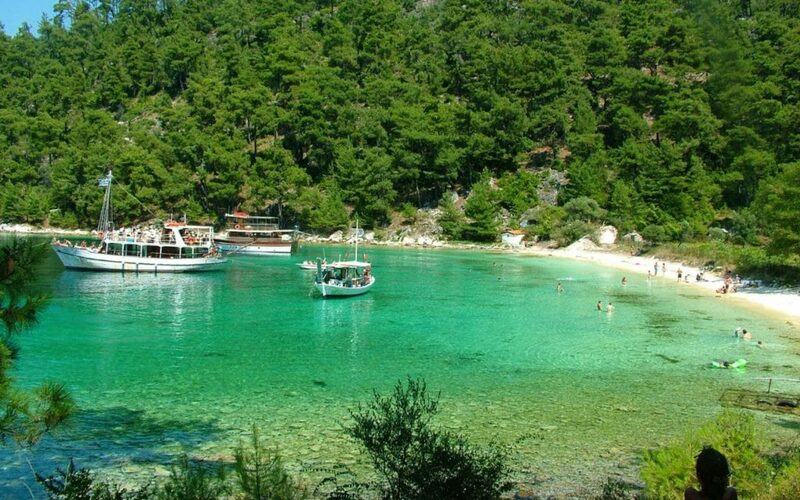 The extensive pine trees that carpet most of Thassos have led to its being rightly dubbed the ‘Emerald Isle’ of Greece. 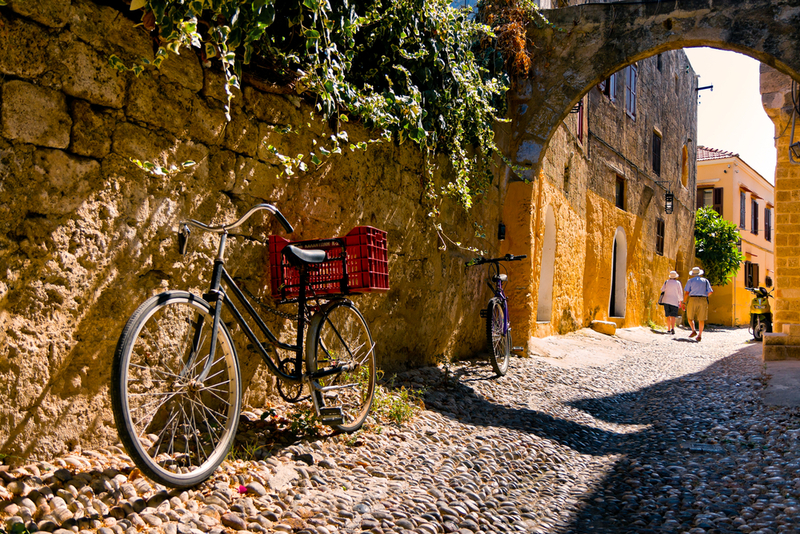 If you love cycling, that can be a very good option to get around several islands. Rough country roads can be bad, but you can try Evia,the second-largest Greek island in area and population, after Crete or Kos. They both offer good bike-rental options. Thassos Island offers endless sunshine, magnificent beaches, and fun sea activities that attract tourists all year round. Many people don’t realise that it is more than a Summer destination. Beaches with crystal clear waters dotted by pine trees like the above are excellent places to take in the view and photograph the scenery. Of course, if you are in Greece, you can’t miss the opportunity to sink in all the history it offers – Byzantine monasteries, Old Towns. 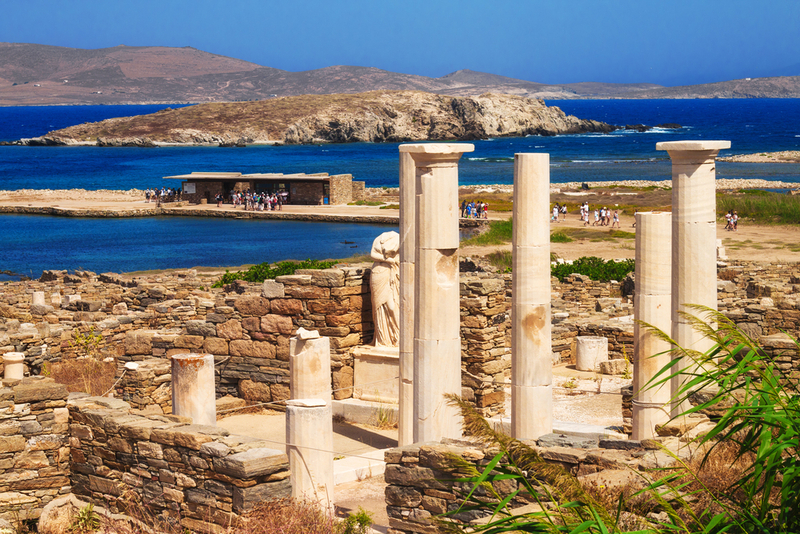 The above island is Delos. It boasts ancient dwellings and fifth-century temples. Although you can’t stay on the island, you can visit for the day by ferries that departure from Mykonos.